← Blanketed in memories….Or, what do you do with 85 Girl Guide T-shirts? Break out the markers and the red and pink construction paper! Valentine’s Day is just over a month away and it’s a great time to plan a Valentines for Vets activity with your unit. This Veterans Affairs Canada program distributes personal notes of thanks in valentines to veterans in long-term care facilities. Here’s a re-post of how the 1st Niagara-on-the-Lake Sparks made this activity their own. The girls earned the Remembrance Day crest for their participation in this meeting. 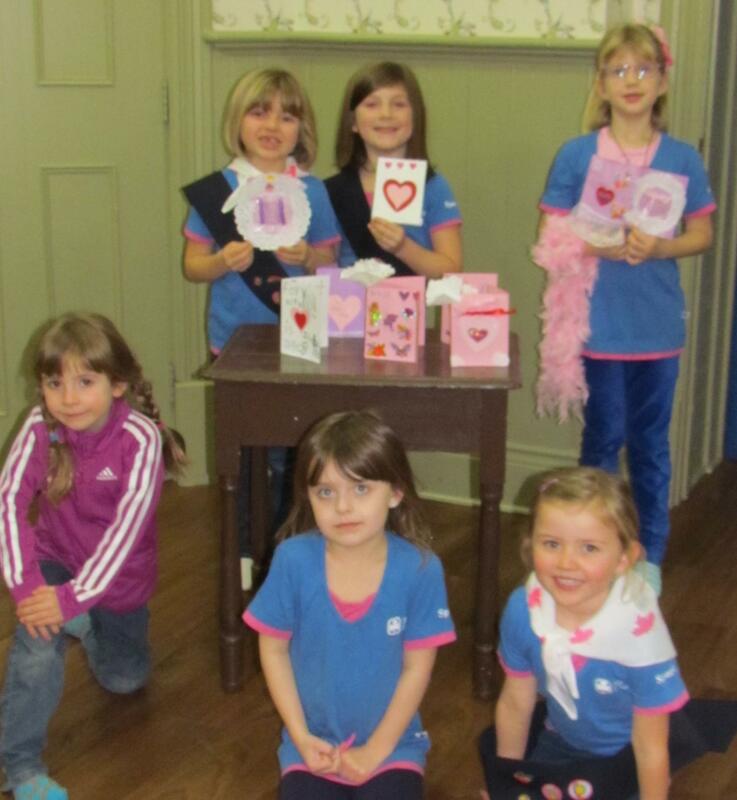 This background prepared the girls to make valentines for vets and understand the significance of thanking them. (Although they needed a quick reminder that this was for “soldiers” and not animal doctors.) The first week, we used every bit of crafting material we could lay our hands on and we still had the occasional request for that special piece of ribbon or sought-after sticker. As requested by Veterans Affairs, we avoided glitter. I can only imagine the distress of long-term care workers who would have been sweeping glitter from beds and chairs. Our Sparks do love their bling! We were asked NOT to put on too many things that might come off but really, asking a six-year-old girl not to use decorations is like asking a new puppy not to bark. Sparks love to accessorize! The girls enjoyed the project so much that when asked, they decided to do more the following week so we brought out the paint and brushes. Each of the beautifully decorated cards touched our hearts so I know they will touch the hearts of our much valued veterans. This has been a terrific project that the girls really enjoyed. I thank Veterans Affairs for affording us this opportunity and Canadian Guider for bringing it to my attention. This is truly a cross-generational project of very deserving recipients and loving, spontaneous Sparks. I hope it becomes a tradition for our unit. This entry was posted in Awesome Activities and tagged meeting ideas, sparks, special days. Bookmark the permalink. Hi where do you send them when they are done? Please check on the Veterans’ Canada link in the blog for more details. It’s such a great program!